Your website is more likely to be displayed by the search engines like Google, Bing and Yahoo when you focus your website on a 'Main Keyword Phrase' people are searching for online. Income Activator's pages have been designed with the highest level SEO certification, and continue to be updated accordingly. To see how visitor traffic & revenue streams can be created by focusing your website on a 'Main Keyword Phrase', click here. You can use the Google Keyword Planner to see keyword phrases people are searching for online and how often. To see how to use the Keyword Planner, click here. Test Your Website to make sure it does not have any broken links or corrupt pages that would lower your SEO ranking. To do that enter in your domain name into this Validator. Google displays links to websites related to what you're searching for. To see how Google displays a search result, click here. Long Tailed Keyword Phrases can tap into well defined online searches where competition is low and you have a better chance at getting your website displayed and capturing that search traffic. To see why, click here. To see more about how Keyword Research works, click here. You can see that they are broken into 3 color sets. Each of your website pages allows you to describe the search results that you want the search engines to display for people doing online searches. 1. Google Keyword Planner: This is a link to the Google Keyword Planner. Here's where you enter in your 'Titles' and 'Page Description' to make sure that the Keywords you are using are being searched for online. If no one is searching for the 'Titles' you are using, look to the related keywords that come up and see if there's something stronger you can use. 2. Describe Your Page For Online Searches: This link leads you to this SEO page. 3. Google Search Result Example: This is what the Google Search Results show when matching a website page to an online search; here's an example. The title underlined in blue is your page’s SEO Title which describes what your page is about. When you enter in your SEO Title use under 60 characters including spaces. The best SEO Title would be 2-3 keywords that describes what your page is about and 2-3 keywords that describe what the benefit someone would be getting from your content, product or service. Use your most important keywords at the beginning of the SEO Title. You can also include your website name in the SEO title if it has relevant keywords to what your website is about, as shown in this example. Your Page Description should not be longer than 145 characters, including spaces, or it will cut off your description. This is where you tell online searchers what this page is about and how it can benefit them. To get an idea of 'powerful words that generate clicks' enter in the 'Keywords' you're using into the Google Search Bar that describe this page, and look at what other websites are saying in their descriptions. Also look at the Google ads at the top and to the right of the search results. These advertisers have tested the market and use words that turn into sales. Your SEO Page Description should include additional keywords that relate to your SEO Title. To find related keywords, use the Google Keyword Planner, enter in your main keywords, and look for other similar keywords that you can use in your SEO Page Description. Note The page description is shown only when the person searches for keywords that are in it. If they search for keywords that are in your page content, it will show 145 characters of that content instead of your page description. The Page Address appears in green in the Google Search Result. It shows your domain name (www.DomainName.com) and your page address (/Work-From-Home.htm). Your Income Activator website automatically fills in your Page Address from your Page Title when you create a new Page. You have the option of changing your keywords for a broader scope. For Example: If your Page Title was 'Cheapest Car Insurance Quotes' you could use related keywords like 'Lowest-Auto-Insurance-Rates' in your SEO Page Address. Use your most important keywords at the beginning of the Page Address. It is good for you to know that keyword links and keyword domains have lost relevance. All of your pages should prompt your visitors to an action that leads to your sales path and creates revenue. The first sentence should contain your main keywords and include a benefit that would make a person want to click to get to your website. Your first paragraph should contain a link to your main keyword phrase to authority sites such as Wikipedia, Government Websites, or News Websites. This also adds credibility to your site. This link should go to a new window so that visitors do not leave your website. An information or article page should contain 350-100% words including related keyword phrases which can be found by using your Google Keyword Planner. You should add your main keyword phrase to the middle and last paragraph of your page. You should write your content as if the visitor has already decided to buy your product or service and you should talk about what they receive as a result of their good decision to purchase. Example for Car Insurance Quoting Service: I'm not trying to convince them to do a car insurance quote, I'm telling them what they will get after they complete the action that makes me money. "After finding the lowest car insurance rate, you will be given the insurance company contact information." Example For An Online Pet Store: After you purchase this dog food, it will be at your front door the next day. Well positioned websites that have a high number of likes, shares, tweets and plus ones that stand out with a high level of social signals helps improve your SEO's good rankings. Google gives priority to pages with pictures over pages just containing text. Google Image Search is another way for visitors to find your website. You can use other pictures you find online, but using your own Pictures will get you more exposure because Google does not show duplicate pictures for search results. When a visitor finds a picture they like on Google Image Search they will go to your website to find more pictures like it, or content relating to that picture. It is recommended you add as many pictures to a page as possible without making it look ridiculous. You can also add photo albums to your Income Activator website, to see how, click here. Google gives priority to pages with videos over pages with pictures and text. YouTube is also another way for visitors to find your website. You don’t even need to create your own videos; you can find and use videos on YouTube that are relevant to your page content. If you find a video on YouTube you want on your website, you should download it first because if the person that put up the video takes it down, it will no longer show on your website. The advantages of downloading the video and putting it on your account is that you can create your own title, add your own keywords, and even a link to your website on the video or in the video details. To see how to download a video from YouTube, click here. Many people are now using YouTube as a search tool for finding how-to information and so forth. That being said, creating your own videos adds additional credibility and when a visitor finds one of your videos they like on YouTube they will go to your website to find more videos like it or content relating to the video. To learn how to SEO your videos on YouTube, click here. 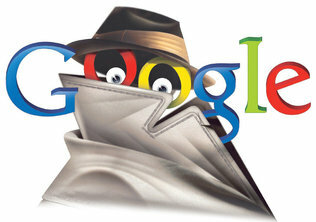 Google found that people are using YouTube to do online searches. In this example you can see that ABCNews downloaded this video from the Official Guilty Dog guy and uploaded it to their own account with a link to their website and has over 650,000 hits. The use of keywords in linking text, and how your site is listed is very important. Linking text, sometimes called anchor text is the clickable text that takes people to another page or resource. The text should always specify what you're linking to. Linking 'about Dog Collars' is better than 'For more information, Click Here'. Don't use phrases such as "home", "click here" and/or "read more". Avoid these phrases and use keyword rich linking text instead. This includes linking to pages on your own website as well as linking to other websites. Google reads your linked text and uses it to understand what you're linking to. 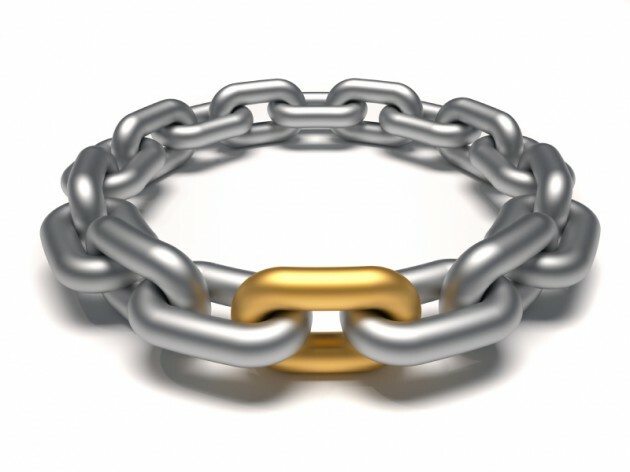 Learn more about how to SEO your links. Backlinks are when another site links to your site. This continues to be one of the most important SEO metrics. More backlinks simply rank better. Backlinks from relevant sites are best. You should know that everyone's search results will be different when searching for the same thing in Google. This is because Google displays websites based on 'Personalization'. Everyone now gets search results bases on their 'own personalization.' To learn more, click here. What you need to look at is your Google Analytics and see if your visitor traffic is increasing. That's the ONLY way you'll know if Google is presenting your website to more and more people. Register for Google Analytics, then put the code into your website. You can see how to do it from your Marketing section, or click here.